I love granola. Crunchy bits of goodness with some sweet and salty elements. 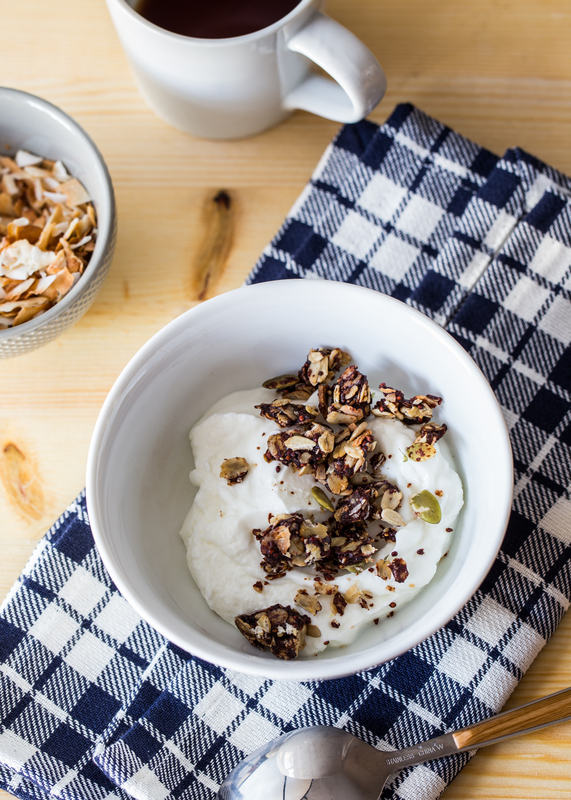 While I love having a bowl of granola with milk or sprinkling some on my yogurt, I rarely buy granola. With C’s nut allergy, store-bought granola is almost always off limits for her, and I try to not have things around that she is not allowed to eat. It only seems fair to have her own house be a place where things aren’t off limits. This means, however, that when I have a craving for granola I need to make it myself. , plus added in some quinoa for good measure. I left out the chocolate chips he called for because after tasting the baked granola, it seemed sweet enough without them. It’s your choice, though, as I usually would not dissuade anyone from adding a bit more chocolate to a recipe. 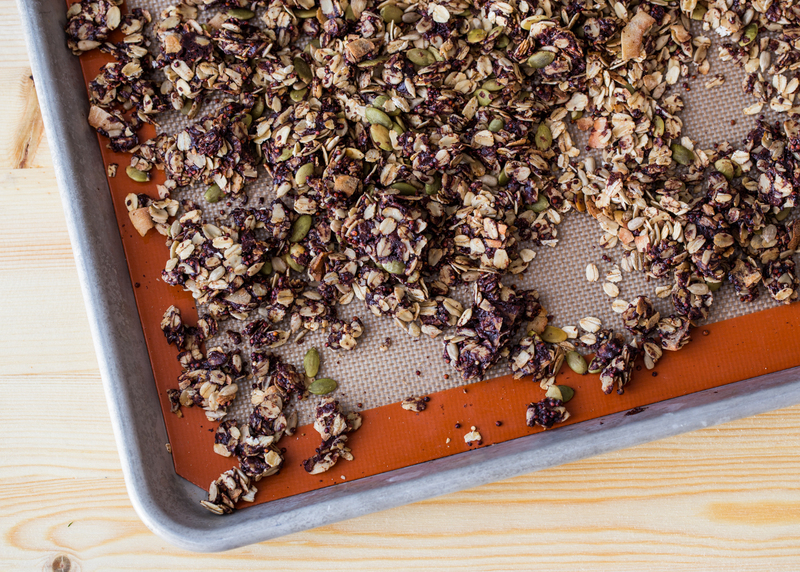 This granola is somewhat addictive, so be warned. After the granola was cooled and sitting on the sheet pan, little hands kept coming by and snagging bits here and there until it started to straight up disappear. It’s seriously that tasty. 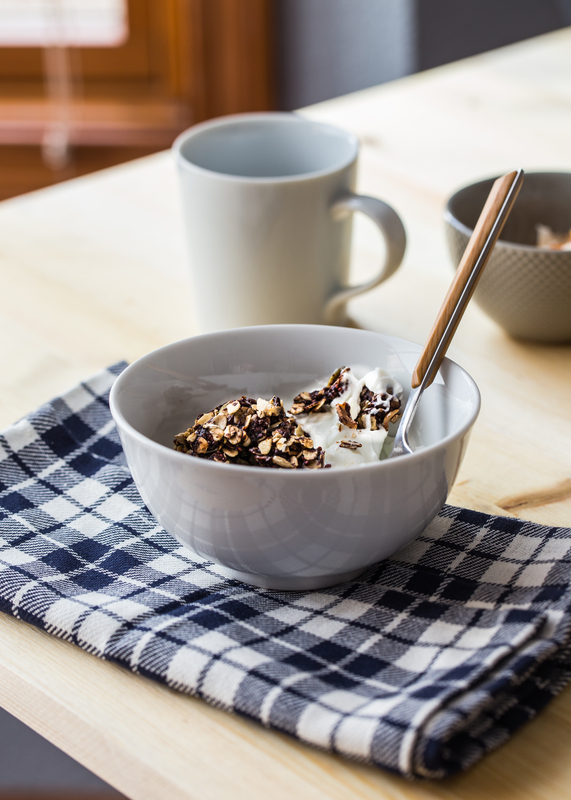 I have been enjoying this chocolate coconut granola sprinkled on tangy Greek yogurt or just as a mid-morning snack with some milk. 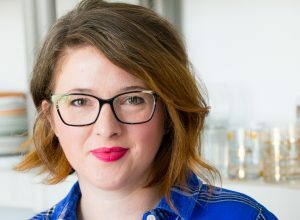 On Friday, I am going to be sharing a dessert that features a bit of the leftover granola. And by “leftover” I mean the second batch I made for the sole purpose of adding it to the dessert. Line a baking sheet with parchment paper or a silicone baking mat. 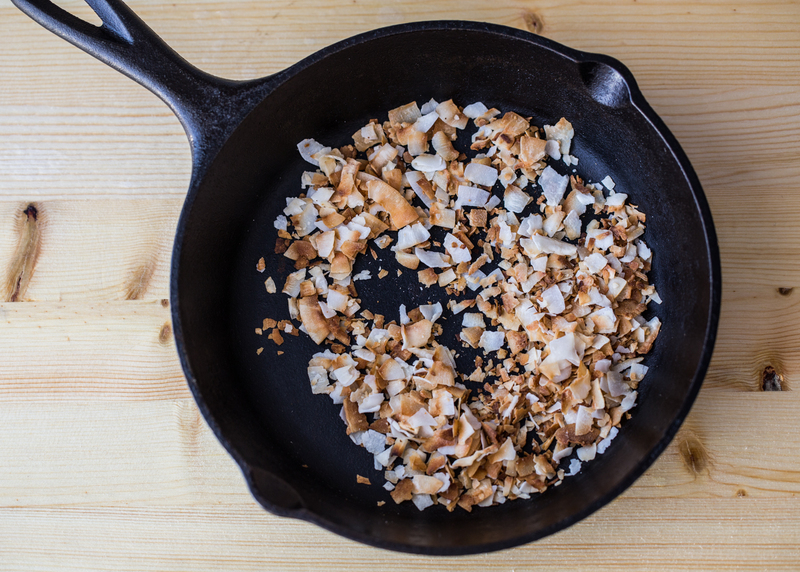 Preheat oven to 275 degrees F.
Melt coconut oil, honey, and sugar in a small saucepan over medium/low heat. Stir frequently until all the sugar is dissolved. Add cocoa powder, vanilla extract, coffee extract, and salt; stir until combined. Remove from heat. 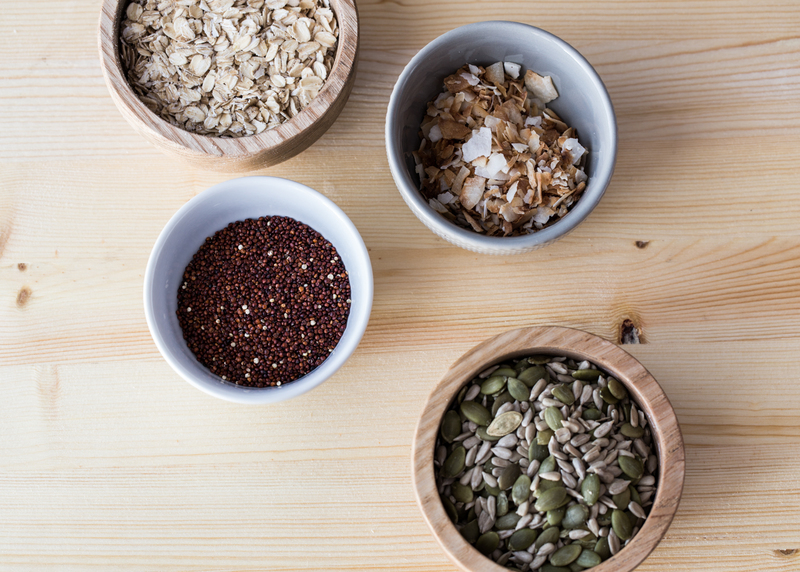 In a large bowl, stir together coconut flakes, rolled oats, quinoa, and the pumpkin seed sunflower seed mix. Pour cocoa powder mixture over the oat mixture and toss to coat evenly. Spread mixture onto prepared baking sheet in an even layer. Bake for 50 minutes. 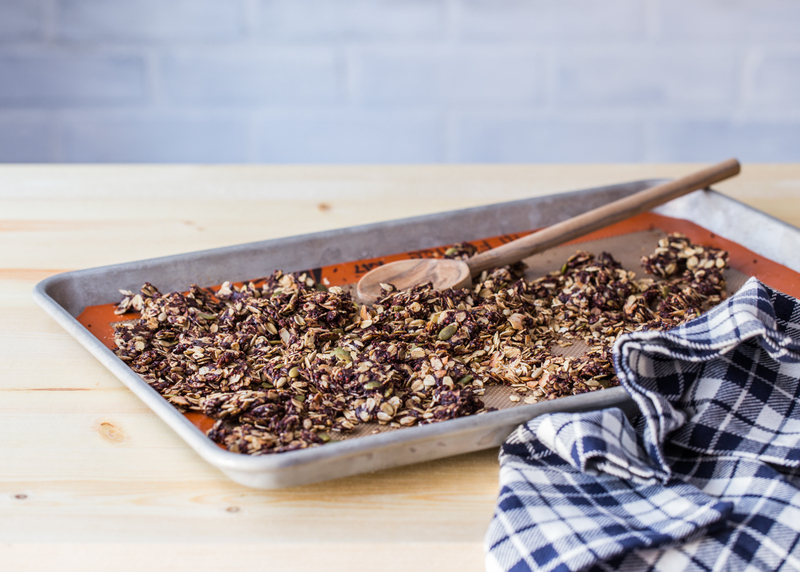 Turn off oven and leave granola in the oven for about 30 more minutes. 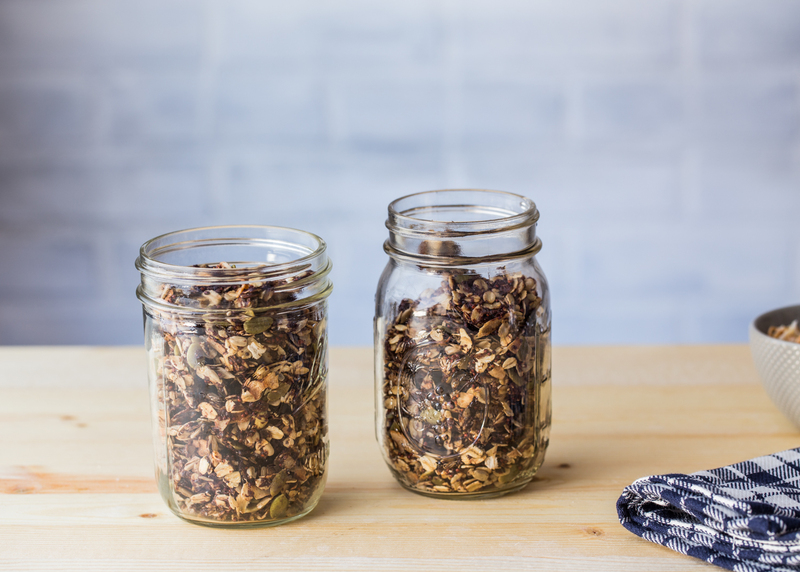 Break granola into pieces and store in an airtight container.